We were very excited when this mystery package arrived though our door last week from The Happy Book Club. They are a book subscription service with a ‘twist’ for pre-schoolers and young children. But before we delve inside our package here is a little about The Happy Book Club. 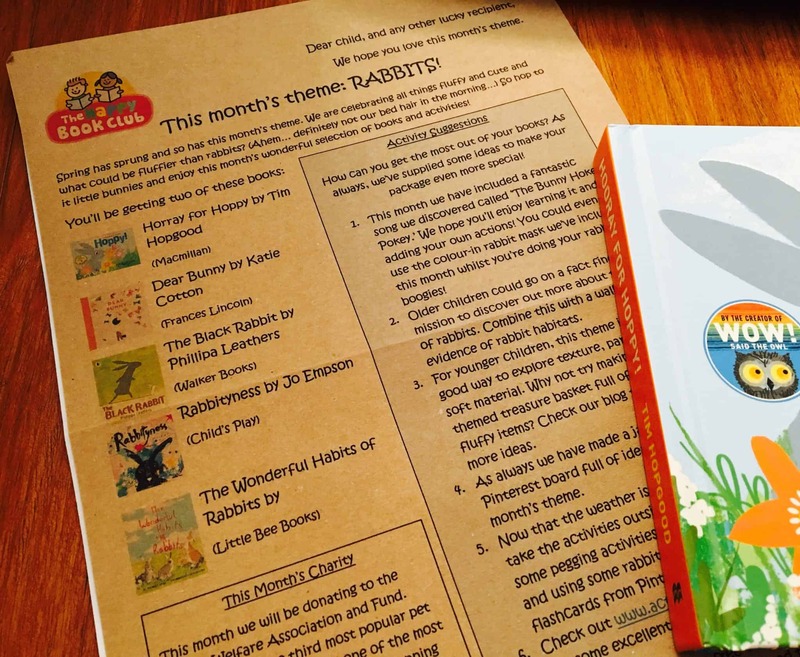 The Happy Book Club supplies books through your door every month for your little ones. They tailer design packages for ages 0-2, 2-4 or 5-7. 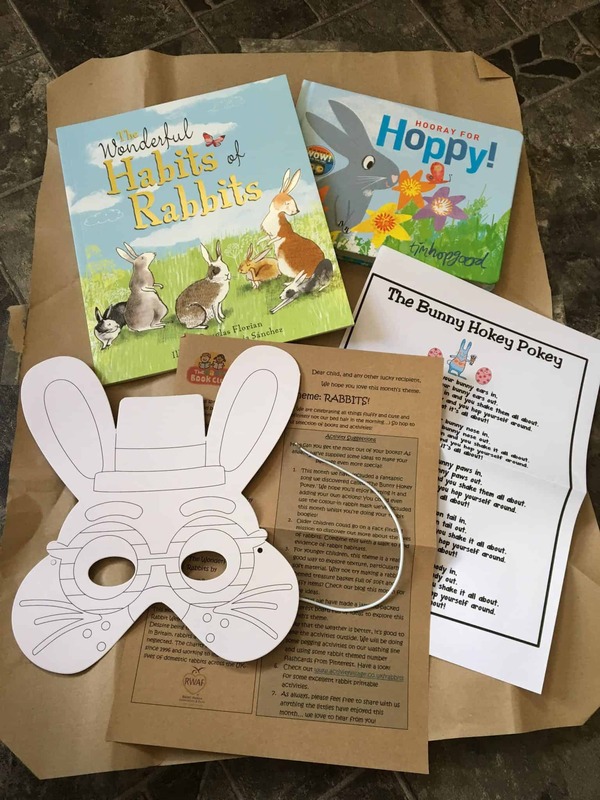 Each month the package will contain 2 wonderful books, and a craft or activity based round that months theme. Yes that’s the marvellous thing about this book subscription, is that each month they have different theme. Also provided is an information sheet about the books, and details of that month’s charity that The Happy Book Club is donating to. It was exciting to open! Inside we found out the theme for this month and it’s Rabbits! Perfect for Easter and April. Hooray for Hoppy! 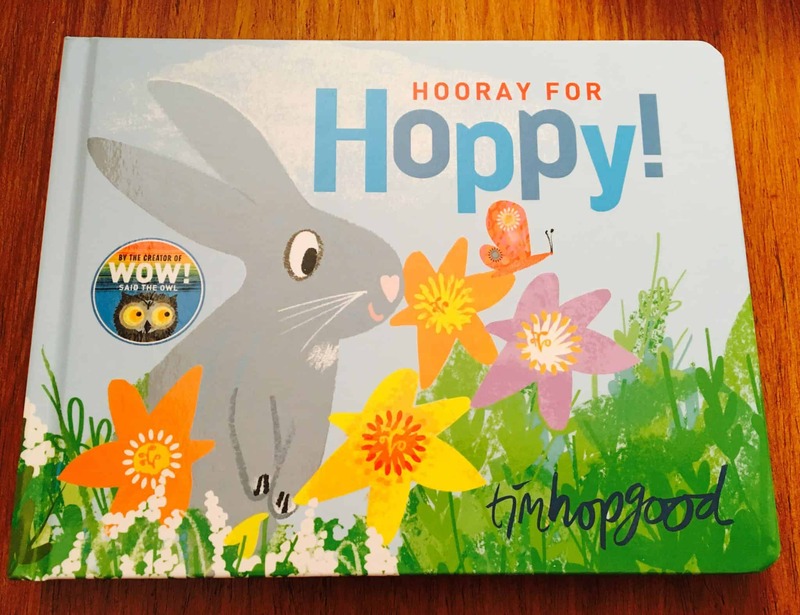 by Tim Hopgood – A fun book for my 14 month old, nice and thick card pages, bright colours and fabulous illustrations. In this book you can learn about all the 5 senses with Hoppy the Rabbit as he discovers the first signs of Spring. 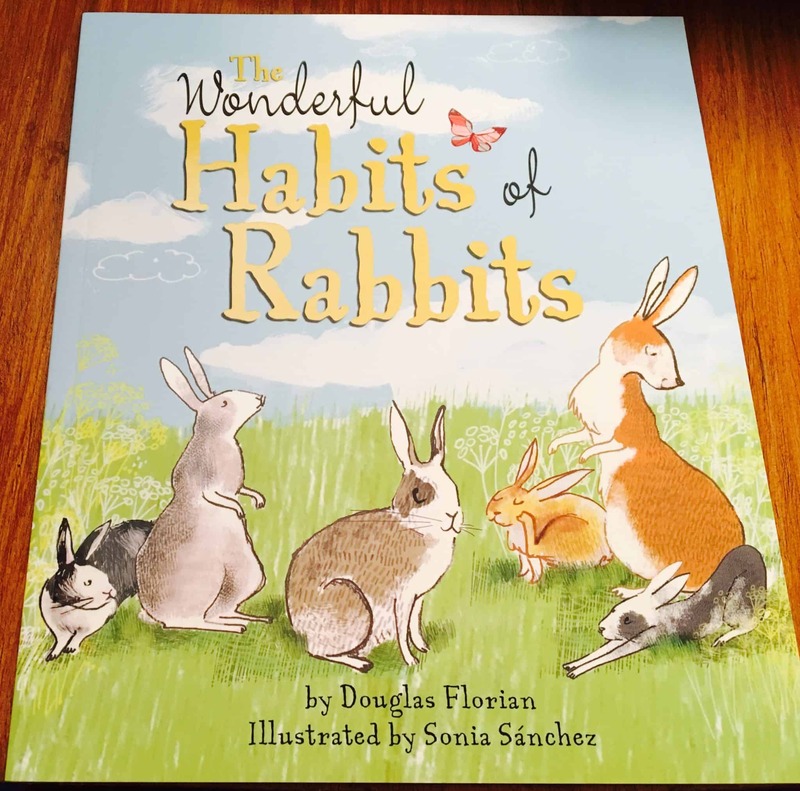 The Wonderful Habbits of Rabbits by Douglas Florian – I love the idea around this book. It’s fascinating to find out what rabbits get up to throughout the day! 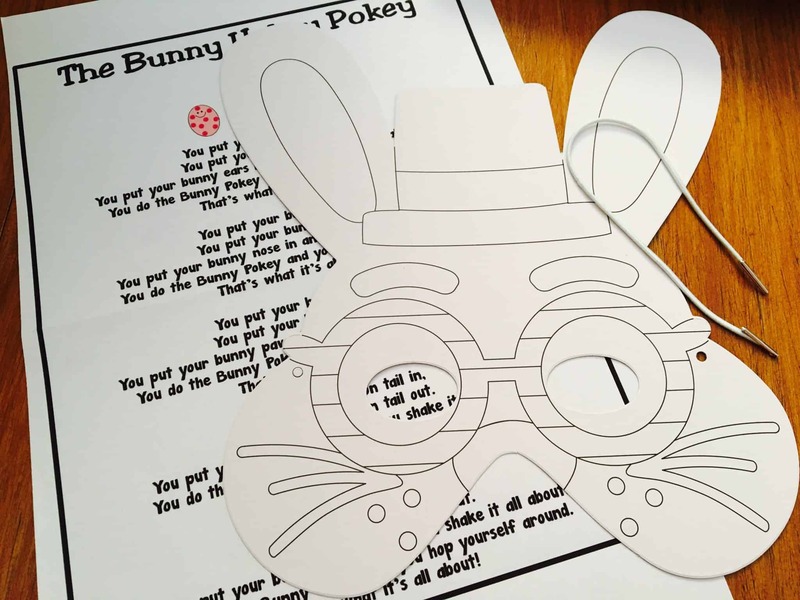 The Bunny Hokey Pokey song and Colour-in rabbit mask – I love this song! I have been singing it to baby girl and shes been jigging around the room! Information sheet – This info shhet is jammed packed with activity suggestions and information on this month’s charity. Which for April is the Rabbit Welfare Association and Fund. You can also check out The Happy Book Club’s Pinterest board full of ideas on this month’s theme. A great idea to fully explore around the theme proposed each month. To enter the giveaway, please fill in the rafflecopter below. 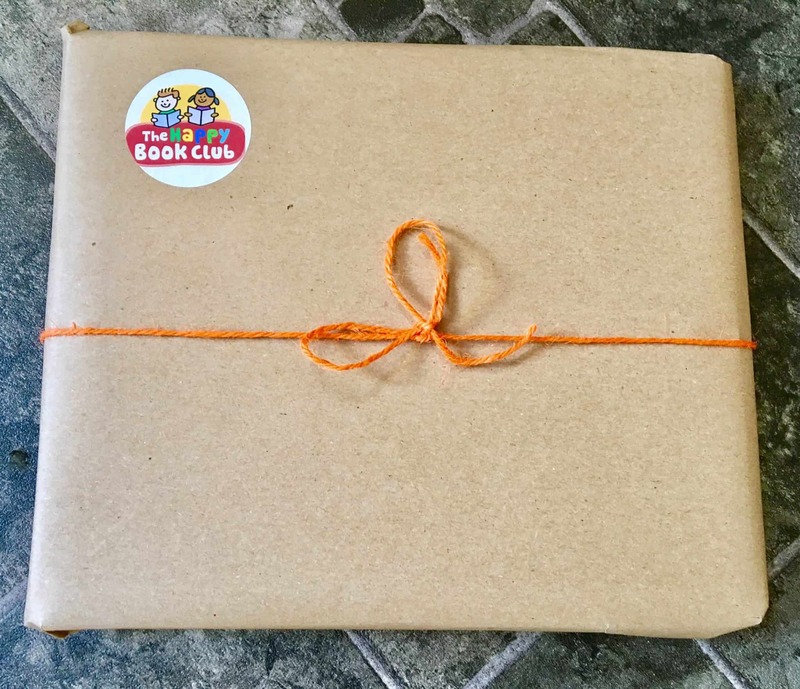 *Terms and Conditions – There is one book package to giveaway from The Happy Book Club. The prize is non-transferable and no cash alternative will be offered. The winner will be selected at random via Rafflecopter.com from all valid entries and be notified by Twitter. The winner will have 28 days to respond with a valid email address before a new winner is selected. Open to all UK entrants aged 18 or over only. Facebook and Twitter are in no way associated with this giveaway. The prize will kindly be arranged by The Happy Book Club. *I was given a book package from The Happy Book Club in exchange for this post. All thoughts and opinions are my own.